The foreign minister of U.S. ally Bahrain has defended Australia's formal recognition of West Jerusalem as Israel's capital, saying the move would not affect a future Palestinian state with east Jerusalem as its capital. The United States in May opened its embassy in Jerusalem amid fervent opposition from the region as well as the European Union. Only Guatemala and Paraguay followed suit, but Asuncion later reversed this decision. The Arab League had issued a statement criticizing the Australian decision as "blatantly biased towards the positions and policies of the Israeli occupation". The post received angry responses from social media users accusing Sheikh Khalid of supporting Israel. 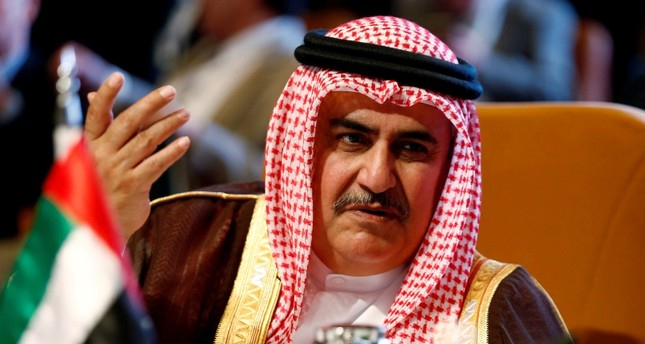 Sheikh Khalid has previously said Israel had the right to defend itself against Shiite Muslim Iran, which Bahrain blames for stoking unrest in the Sunni-ruled island state. Iran denies interfering in Bahrain. The status of Jerusalem, home to sites holy to the Muslim, Jewish and Christian faiths, is one of the biggest obstacles to a peace agreement between Israel and Palestinians who want East Jerusalem recognized as the capital of an independent Palestinian state.